Come Friday night the Wolfman returns. 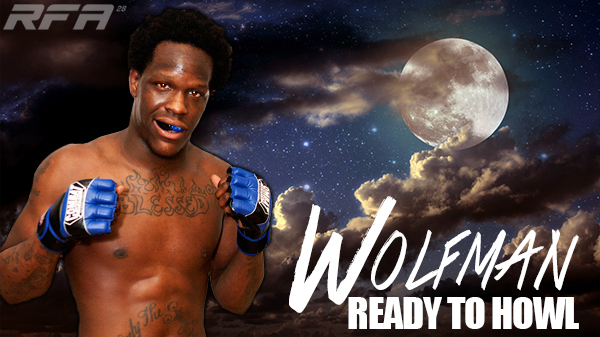 Featherweight Javon "Wolfman" Wright knocks the 11-month dust off his MMA game on one of the year's biggest cards, RFA 28 at the Chase Park Plaza. The card features five local fighters on the main card including main event participant Andrew Sanchez, and will air live on AXS-TV. Wright is on the main card with a host of St. Louis' best. Wright (6-3) faces Thiago Moises (5-1) out of the famed American Top Team. "It's great that the first fight back I go straight to the big card," Wright said. "Ring rust could be a factor but I'm not going to worry about it at the moment. I'm expecting a huge crowd. It's my first time fighting on TV so I'm a little nervous at the same time. I'm ready for it." Wright last fought in September, 2014 and earned an impressive first round submission victory over Jake Constant. After a surprise switch in opponents, Wright now turns his focus on to Moises. Both will be making their RFA debut. "I don't know anything," Wright said. "He may be a little more versed in jiu-jitsu so I will have to worry about the ground more than anything. Usually I've been fighting hometown boys and I know at least a little something about them. The only thing I can do is go out there and be prepared for everything." Wright fights out of Modern Combat Systems. It has been a banner summer for the always-busy MCS squad. Wright is one of four pros on the team that's coached by Jared Daniels-Block. "I really don't think Javon gets the credit he deserves," Daniels-Block said. "When he was an amateur he was the best at that weight class. Javon evolves a lot faster than the average guy. He adapts really well in there." Not only is Wright a quick learner, his martial arts-first approach to the sport is under appreciated. "He doesn't embody the same characteristics that a lot of guys do," Daniels-Block said. "He treats this more like an art form. It's more like spray painting a canvas. He is looking to explore and search out. When it comes to jiu-jitsu, it's different for him than some of the other guys. He cares about it. He wants to learn how to work off his back. He has more of a love for it." Wright is joined at MCS with several pro teammates including: Hugh Pulley, who just had a huge win on a Bellator card in June, Scott Futrell and CJ Hunter. "We're all trying to get as far as we can in our sport," Wright said. "You're nothing without your teammates and we're trying to make headway's now." Wright was one of the founding members of the team and gave the squad a shot of instant legitimacy. "It started when Fierce Taylor, Hugh, and Jared got together," Wright said. "Then they invited me and ever since, I've been there every minute. With Hugh on Bellator and me on RFA, we're starting to get our name out there now." MCS has earned its reputation the old fashioned way, clawing and scratching and fighting on every legit card they could get their hands on. "All the people that were there in the beginning are pretty much still there," Wright said. "We train together, we breathe together. In the early days, we trained with what he had. Now we have cages, mats, and more coaches. Now some of our amateurs are starting to come up and getting their names out there." Wright has always had an assortment of skills. A state qualifying wrestler in high school, he can fight both orthodox and unorthodox and loves to fire off kicks from odd angles. "I got my name off my stand up but I've been working on my ground a lot and it's getting really good," Wright said. "I'm ready for everything; wrestling, jiu-jitsu, judo, kickboxing, boxing. I can do it all when the time comes." The three loses in Wright's career are no jokes. His first loss came after winning two straight when UFC featherweight Alex White tapped him out in the second round. 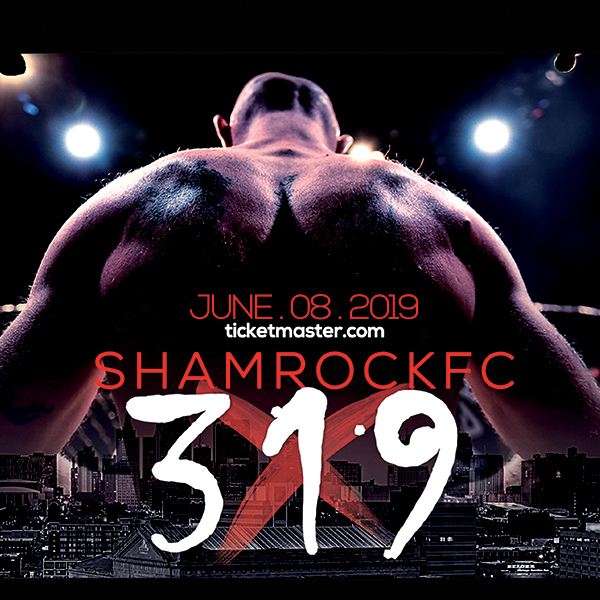 Forty-fight veteran Chase Bebe was able to get the win over Wright in 2012 and Wright's last loss came to Luke Sanders, who is currently undefeated and the RFA 135-pound champ. More importantly than Friday night, Wright can't help but smile when asked about his future as he will become a father in the fall. "I have twin girls due soon and have been getting ready for them," he said. "I can't wait. She's about six-and-a-half months in and we're almost there. I'm pretty excited about being a first time father." Daniels-Block has noticed a more mature Wolfman this past year. "Lately, he's been down to business," he said. "Whatever the day's lesson is he gets the job done. He's in there to work. His life is changing a little bit." Wright gave thanks to his sponsors Hendrixson Insurance Agency and Reactor Watches for their support. For tickets to RFA 28 go to www.metrotix.com or call 314-662-2000.